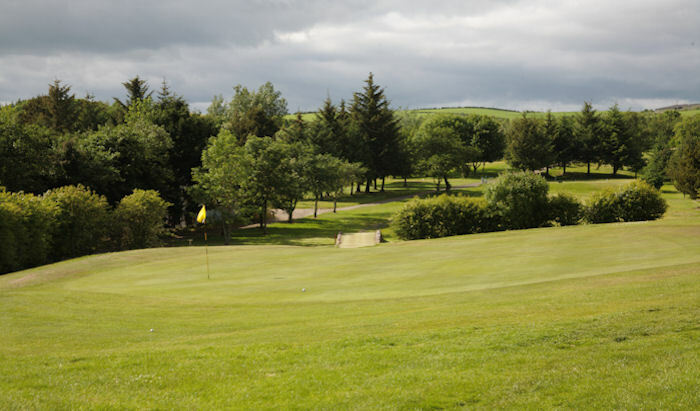 One of Ayrshire’s oldest clubs, the tree-lined Ardeer, located five minutes from the town of Ardrossan, benefits from splendid views of the Firth of Clyde. The tee shots are fair and straightforward, a few blind approach shots but the greens are challenging. Plenty of changes in elevation mean very appealing approach shots to the green. The hardest hole on the course though, goes to ‘Greenhead’, the 424-yard par-4 11th which demands a long draw off the tee. A burn in front and bunkers either side of the USGA specification green means a difficult second shot awaits, with birdie chances slim. The course is in pristine condition – especially the greens. Ongoing improvements to the course, including extensive drainage work, means this parkland track guarantees golf all-year round. This is a very friendly course and we’re sure you’ll enjoy a warm welcome. Dog leg hole with a burn running alongside you – the 9th hole at Ardeer will stay in your memory for a while. Especially if you hit a birdie and stay out of the burn! Bring along a friend to play a round for £15 (Mon, Tues, Thurs, Fri Only). Receive a 50% discount on a round when playing again within two months. £10.00 Food Voucher (Wed, Sat and Sun only). £10.00 Drink Voucher (Wed, Sat and Sun only).